Brand loyalty is a major topic in any industry today and particularly in the cannabis industry. However, brand loyalty can be a tricky concept. What exactly does it mean? How is it achieved or measured? And what are the tangible effects of strong brand loyalty? I’d like to offer some insight into this last question because of how large the potential revenue is for brands with loyal followings. My firm, Brightfield Group, researches the top brands in the cannabis industry and why consumers select them. What we found in our recent survey of medical cardholders was that brand loyalty is a significant driver in purchasing decisions. Using the edibles market as an example, we found that 73% of consumers have a favorite brand. Once they find it, they’re extremely loyal, with 60% of these consumers choosing that brand at least 75% of the time. That’s tremendously powerful when you break down the numbers. Take California’s edibles market for example. It is worth about $250 million right now and is projected to grow to $1.2 billion by 2019. If 60% of consumers buy their favorite brand 75% of the time, that’s $112 million that’s won by the power of brand loyalty in 2015. It would be $530 million in 2019, assuming the percentages remain the same. Now this is a very simplified example, but using it one can see the magnitude of the revenue involved when brands build a loyal following. Then consider how fragmented this market currently is. Going back to our example, the top 10 edibles brands in California combined make up less than 25% of the total market. While this is typical of an industry at this stage in its lifecycle, what it means is that there is a lot of market share still to be captured. That’s about $187 million available for capture this year and almost $1 billion in 2019, again using the numbers above. And that’s just in California. This same story is being played out across other states and other categories such as concentrates or topicals, which are even more fragmented. The implication for existing brands is that they should exploit their first mover advantage, expand their footprint and increase market share as fast as possible, because the next stage in the industry lifecycle is consolidation, where scale becomes essential. However, in this industry, expanding that footprint isn’t so easy with the current regulatory challenges. That said, some brands are starting to do it, such as Cheeba Chews and Bhang, which are both top 10 edibles brands in multiple states. But there’s a long way to go. Brand loyalty is as important to the cannabis industry as any other and perhaps more because there are no long-established, dominant brands. 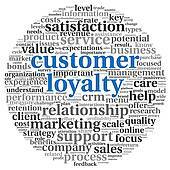 The field is wide open, and although there are challenges to building that loyalty, the revenue potential is huge. Patrick Hayden will be speaking more on this topic at NCIA’s upcoming Fall Regional Cannabis Business Summit taking place in New York City September 21-23. Click here to register today! Patrick Hayden is the President of Brightfield Group, LLC. Patrick has worked in both market research and investment management for 15 years, most recently as Director of Investment Analysis for a large, private pharmacy benefits manager. Previously he was a consultant with a global research firm helping hedge funds leverage emerging markets data to boost investment returns. Prior to that, Patrick worked in an alternative investment firm where he was involved in numerous private placements raising over $100 million. He has a Bachelor of Arts in Economics from the University of Iowa and his MBA from City University of New York. NCIA’S Quarterly #CannabisCaucus Event Series Continues! Q4 #CannabisCaucus Dates & Locations!